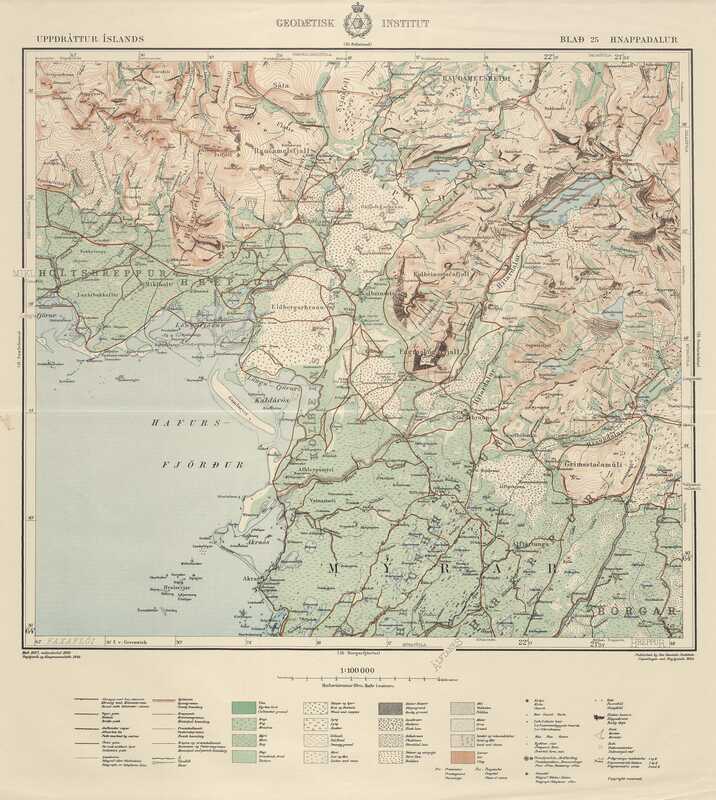 In the last decade of the 19th century it became evident to the Danish authorities that the existing maps of Iceland did not conform to the standards of the times. The best available maps of Iceland at that time were in essence based on two separate surveys. The first was a survey of coastal areas carried out by the Danish hydrographic service in the years 1801-1818. 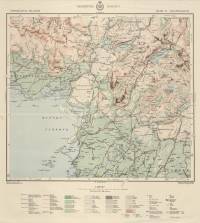 The second was a survey of other areas of the country by the mathematician Björn Gunnlaugsson 1831-1843. In 1899 the Icelandic Althing appropriated money for a new triangulation of the Reykjanes peninsula in the southwest and in 1900 the geodetic section of the Danish General Staff sent officers and men to Iceland to measure two base lines, in the south and north respectively. The intention was to establish a new triangulation network based on these measurements. This new triangulation survey was not really begun until 1902 when more funds had been allotted. In the period 1900 to 1939, with intermissions in 1909, 1914-1919 and 1921-1930, the Danish authorities completed the surveying and mapping project in Iceland. 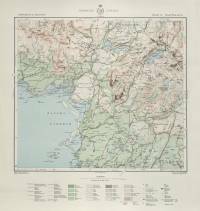 The Danish General staff was responsible for the mapping activities until 1928 when the newly formed Danish Geodetic Institute took over. From the beginning of the century to the year 1915 the Danish surveyors produced 117 topographic maps at a scale of 1:50 000 of the western and southern parts of Iceland. 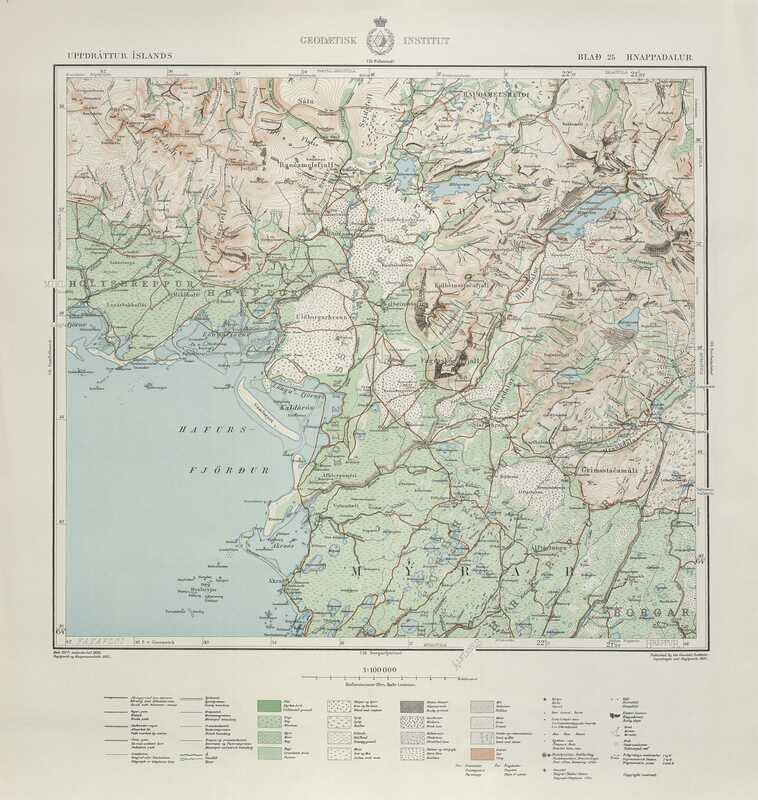 In 1921-1944 87 maps at a scale of 1:100 000 covering the whole country were published.